rants, a coffee shop, bar and lounge, concierge service, multi-lingual staff, currency exchange, ATM banking, grocery store, hair salon, gift shop, tour assistance, airport transportation, safe-deposit boxes, limousine rental service and on-site medical assistance. Conference facilities include ballrooms, meeting rooms and a business center.It 11.3km distance from the venue. 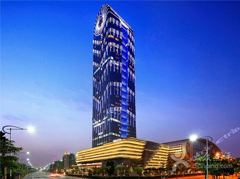 The Westin's Hotel is located in the center of boom CBD in Guangzhou,sitting on the famous Guangzhou International Exhibition Center with a series of the world famous cultural attractions, where you can have a great view of grand scenery of the Pearl River and urban skyline wantontly. 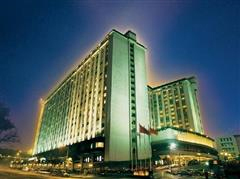 Address: Guangzhou International convention and exhibition center area C,No.681 Fengpu Road,Haizhu Dist, Guangzhou.It 315 distance from the venue. 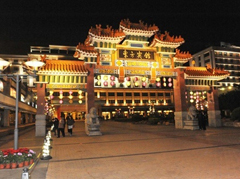 Guangzhou is China's well-known city of commerce and trade, which enchants each and every visitor with its rich history. But before you head out to explore the city, you first check into the Shangri-La Hotel, Guangzhou, where you will find yourself in peace away from the hustle and bustle of the city just outside. The moment when enter the hotel, you will be drown in quiet resort surrounded by trees,fountain. The hotel 522m distance from the venue. Sitting at the foot of Yue Xiu Hill and adjacent to Liu Hua Lake, Dong Fang Hotel embraces a 10,000 square meters subtropical garden, making it the only Southern China garden hotel in downtown Guangzhou. 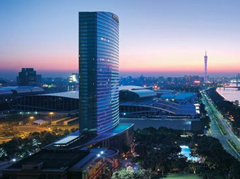 Locates at the busy political, economic and cultural centre of Guangzhou and by Yuexiu Park Metro Station , Dong Fang Hotel enjoys convenient transportation, just a 30-minuite’s away from Guangzhou Baiyun International Airport, Guangzhou Railway Station, Guangzhou East Railway Station, Guangzhou (Pazhou) International Convention & Exhibition Centre, and major shopping centres in Guangzhou.It 22km distance from the venue.